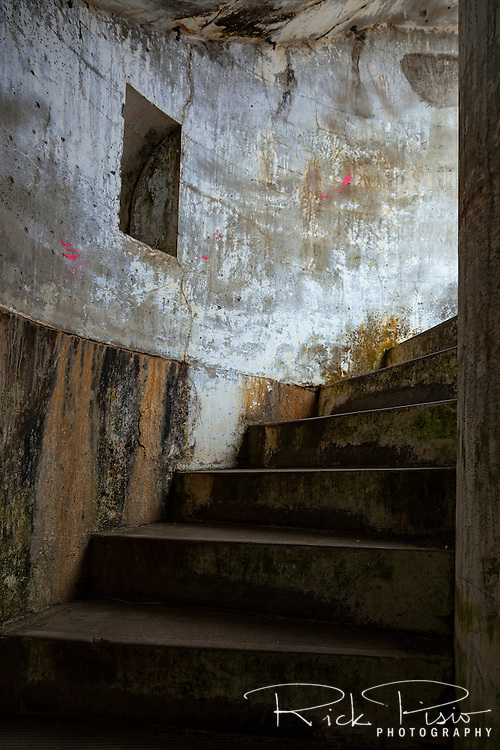 Spiral staircase in Battery Russel at Fort Steven's State Park in Oregon. Battery Russel was one of three batteries that protected the mouth of the Columbia River. The fort first saw service during the Civil War and was active through World War II. Fort Stevens was the only military fort in the United States that was fired upon by an enemy during a time for war since the War of 1812, when it was attacked by a Japanese submarine on June 21, 1942.